Before EEL Chicago sets out for another wedding weekend we wanted to share our favorites from October 22nd & 23rd! 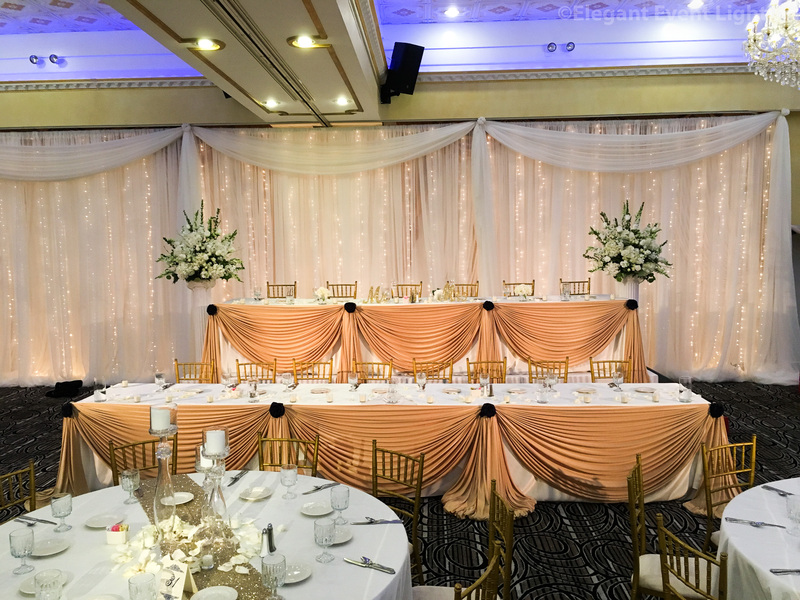 A twinkling fairy light backdrop and gold table draping with black accent fabric flowers for Amanda & Jose’s wedding at Ashton Place in Willowbrook! Thank you to Nicki Mack for working with EEL on this beautiful wedding. 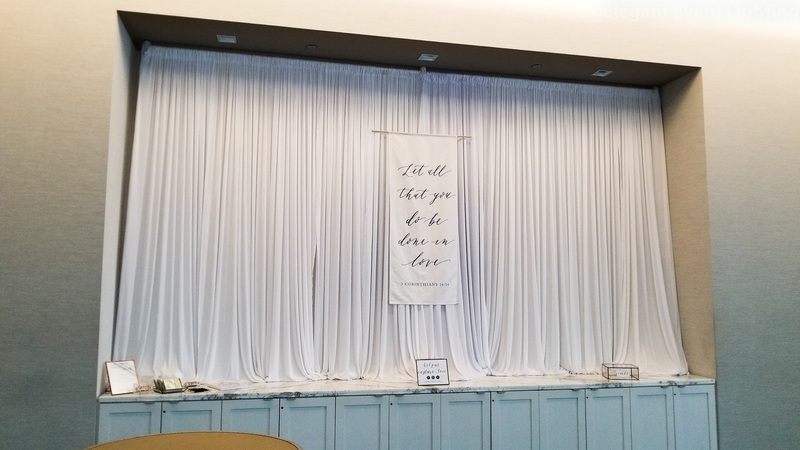 Such a gorgeous tapestry at Hotel Arista on Saturday and a perfect touch to white draping in the credenza! 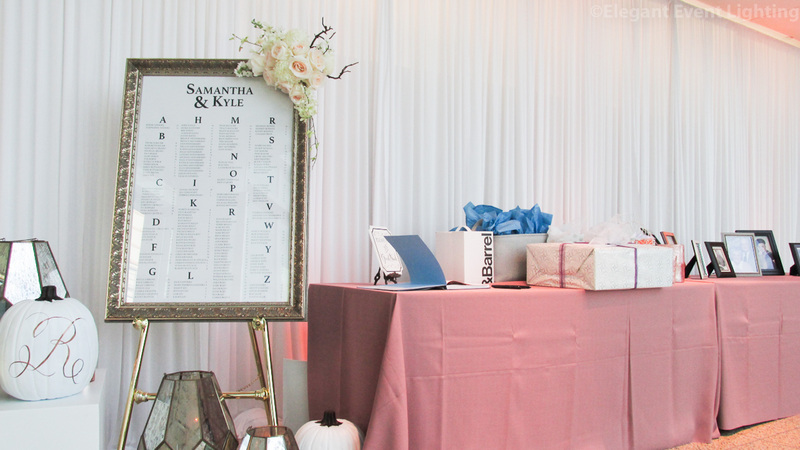 Esplanade Lakes in Downers Grove was transformed for Samantha & Kyle’s Wedding. 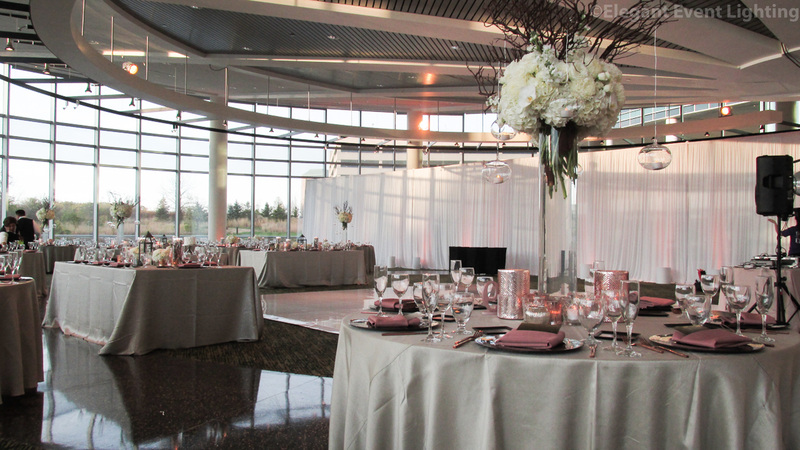 Guests entered into the cocktail space with elegant white fabric draping illuminated with soft amber uplighting. 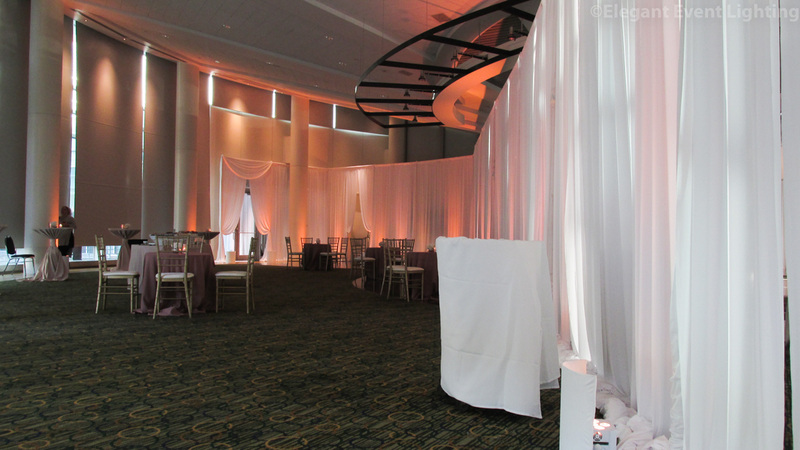 Esplanade’s ballroom was sectioned off with matching white drape and amber uplighting to create an intimate space for guests to mingle. 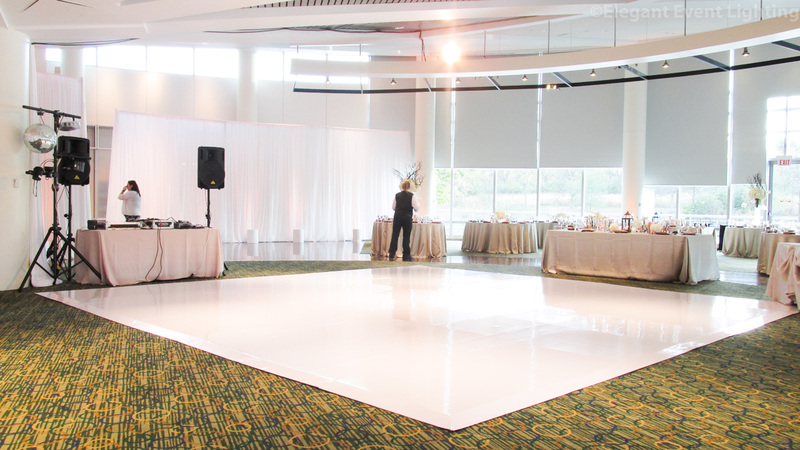 The wood dance floor in the reception space was covered with a brilliant white vinyl. 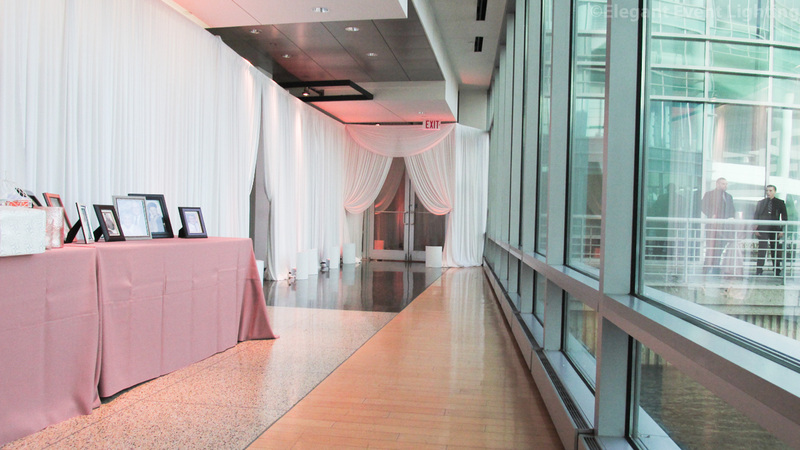 Shoutout to Erin and her team at Revel Decor for working with EEL Chicago on this fabulous wedding! 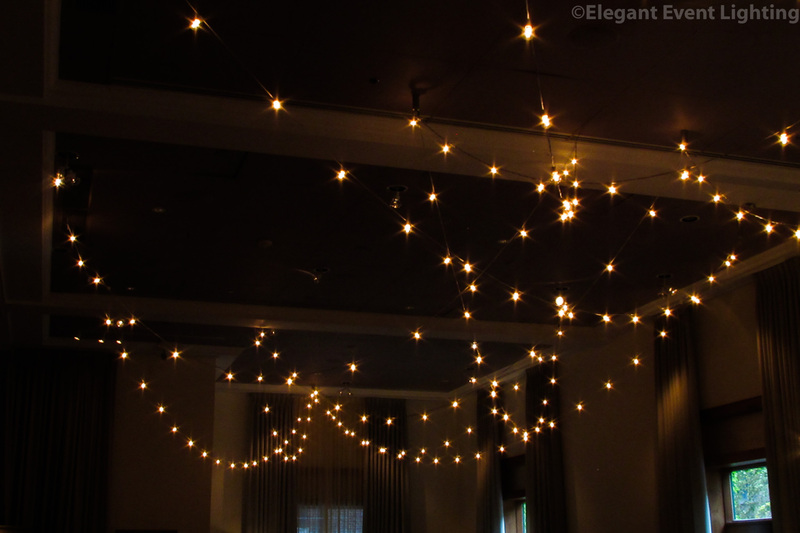 Take a look at our wonderful bride Jessica’s words on about EEL Chicago’s work at her Ivy Room wedding on theKnot.com! 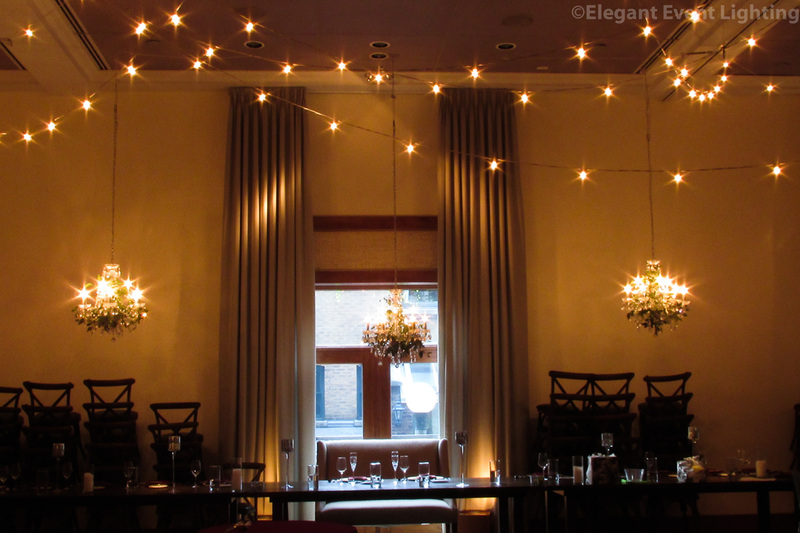 Alongside glowing cafe lighting in the ceiling, our team worked with the Ryan from Stemline Creative to create beautiful greenery crystal chandeliers above the head table. 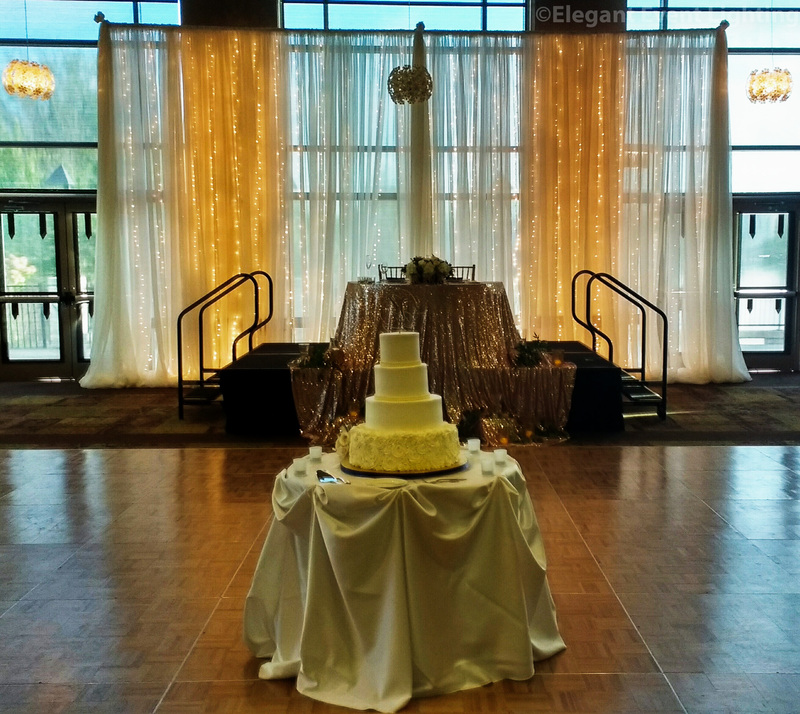 The Westin in Lombard with an ivory sheer backdrop embedded with twinkle lights tied in perfectly with a glitter sweetheart table! Can’t wait to see more photos of EEL’s work? Make sure to follow us on Instagram for more!